No-Risk Cancellation Policy: Enroll with complete peace of mind: You may cancel your enrollment and receive a full refund up until the end of the first week of the workshop. Time-Zone Friendly: There are no set class times. 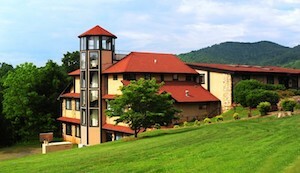 Participants from all over the world can attend and no prior experience is needed. Audio/Visual material is pre-recorded and streamed. You can replay the instructional sessions as often as you need for the duration of the workshop. System Requirements: Broadband Internet access is essential due to the streamed video content. We recommend the Firefox, Chrome and Safari browsers for use with our course web sites. GlideWing Workshop Videos are compatible with all desktop, notebook and mobile devices, including Apple and Android tablets and smartphones. "The Monroe Institute advances the exploration of human consciousness and the experience of expanded states of awareness as a path to creating a life of personal freedom, meaning, insight, and happiness." The Monroe Institute® (TMI) is a preeminent leader in human consciousness exploration. TMI is devoted to the premise that focused consciousness contains the answers to humankind’s questions. Through the use of technology, education, research and development, TMI has been advancing the experience of individuals in the exploration of targeted and expanded states of awareness for over 50 years. Hemi-Sync® is a patented, scientifically and clinically proven audio-guidance technology refined with more than 50 years of research. Researchers learned that specific sound patterns could lead the brain to various states of consciousness, ranging from deep relaxation or sleep to expanded awareness and other extraordinary states. The process works through the generation of complex, multilayered audio signals, which act together to create a resonance that is reflected in unique brainwave forms characteristic of specific states of consciousness. The result is a focused, whole-brain state known as hemispheric synchronization, or Hemi-Sync®, where the left and right hemispheres are working together in a state of coherence. 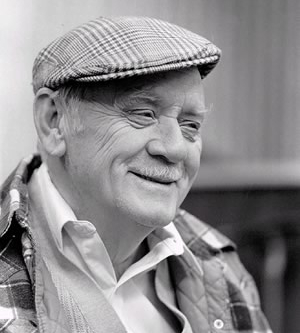 Robert Monroe was a successful and distinguished business executive, dedicated family man, and noted pioneer in the investigation of human consciousness. He also invented Hemi-Sync® and founded The Monroe Institute®, a worldwide organization dedicated to expanding human potential. To register, click on the "Register Now" button below, and then follow the instructions on the following page. For assistance, please write to us at programs@glidewing.com. 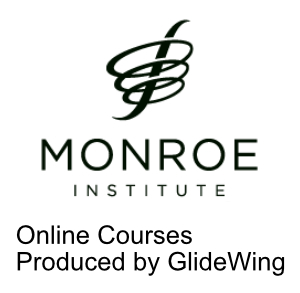 Welcome to a new series of online workshops developed by The Monroe Institute and produced by GlideWing! Just saying the word ‘intuition’ evokes different feelings for many of us…some feel it is a rare or occasional gift of knowing. Others believe it is more of a supernatural event when it happens, and still others understand it as part of the human neuro-psychological system. Most everyone, though, considers it a real inner guidance system that can be used to help us move more confidently and efficiently through our lives. Intuition has been explored in psychology, neurology, in metaphysics and spiritual studies. Accessing Intuitive information now has practical applications in many aspects of our world, from successfully maneuvering in financial markets, to developing useful strategies in business and even improving personal relationships. With the desire to develop it and with practice, most everyone can improve their intuition! If your intuition was a reliable and easily accessible tool that you could call upon any time! Developing Intuition is an online course that can turn your latent intuitive abilities into a reliable, life-enhancing skill that will benefit you for a lifetime. In this course, we guide you through a step-by-step process to learn how to readily access and use intuition with greater clarity and confidence in your everyday life. You will learn about the nature of intuition, how to understand the unique language in which it communicates with you, and how to access inner guidance and information with your intuitive skills. You may be surprised at how natural your ability is already, and how much more powerful it will be after completing the course. In addition to discovering the many aspects and ways to access your intuition, you will learn all about the patented binaural beat technology called Hemi-Sync® and how to use it to improve your intuition, along with optional recommendations for expanding your practice with the assistance of the Hemi-Sync® audio guidance technology. A truly great combination for fully developing your innate intuitive skills.. In four consecutive sessions you will experience your own sense of intuition through video-based instructions, guided meditations, a downloadable workbook, and private question and answer forums. In the first session, we'll discuss the nature of intuition and what science has to say about it. Through a guided meditation, you will train your mind to relax into a state of consciousness that is optimal for receiving intuitive information. We'll also introduce you to a powerful tool called Hemi-Sync®, an audio guidance technology that will assist you in developing your own intuitive senses. In the second session, you will discover how to recognize intuitive guidance in your everyday life. You will learn the language of intuition and focus on receiving intuitive information through your dreams, and signs and synchronicities. You will also begin working with the night-time practice of accessing your intuitive guidance through your dreams. In the third session, you are going to discover specific ways in which intuition presents itself in various situations. Using a guided meditation, you will become comfortable with recognizing intuitive language in your daily life and personal experiences. In the fourth session, you will learn techniques for achieving greater clarity and certainty in accessing your intuition, such as connecting the messages from your inner self and your conscious awareness so that your intuition is more easily and readily available. You will be guided through a meditation that was specifically designed to help you build those connections, and which you will use during and after this course. Every session contains video-based instruction, guided meditations, practices and suggested optional Hemi-Sync® exercises available from The Monroe Institute. The guided meditations included in the course are downloadable for your continued practice after the course has concluded. 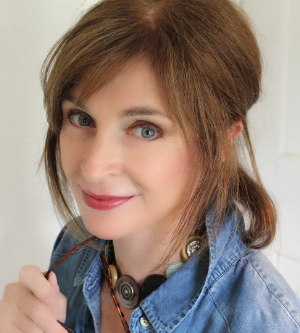 Once you have completed the Developing Intuition online course, you will have accumulated practical tools, knowledge and experience that will bring you immeasurable benefits throughout your life! IMPORTANT DISCLAIMER The intention of this workshop, and its teachers and producers, is only to offer information of a general and educational nature to help you in your quest for physical, emotional and spiritual well-being. The teachings and exercises presented in the workshop do not represent medical advice or prescribe the use of any technique as a substitute or replacement for seeking professional care or treatment for physical, psychological/emotional, or medical problems you may be experiencing. If you have any specific questions about any medical or psychological matter you should consult your doctor or other professional healthcare provider. If you think you may be suffering from a medical or psychological condition you should seek immediate medical attention. You should never delay seeking professional medical/psychological advice, disregard such advice, or discontinue medical/psychological treatment because of information provided in the workshop or on our related web site. In the event you use any of the information in this course for yourself or others, the course teachers and producers assume no responsibility for your actions. DO NOT listen to Hemi-Sync® while driving or operating heavy equipment, or with other devices that may influence brain-wave activity. 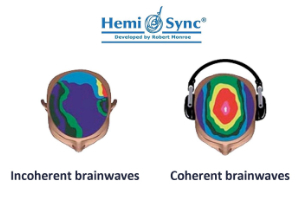 If you have a tendency towards seizures, auditory disorders, or adverse mental condition(s), DO NOT listen to Hemi-Sync® without first consulting your physician. In the unlikely event that you experience any unusual physical or mental discomfort, immediately discontinue use.